This is the period of blockchain and crowdfunding. This is the period of disturbance. Another financial ecosystem has been created in this era. Those who don’t keep up with the trend will get run over. Luckily, we are here to provide the knowledge to all the people that require it. We know it can be hard to launch a new business in today’s modern age, especially if you are not part of the younger generations. Have no fear, we are here to help you understand blockchain tech and crowdfunding. 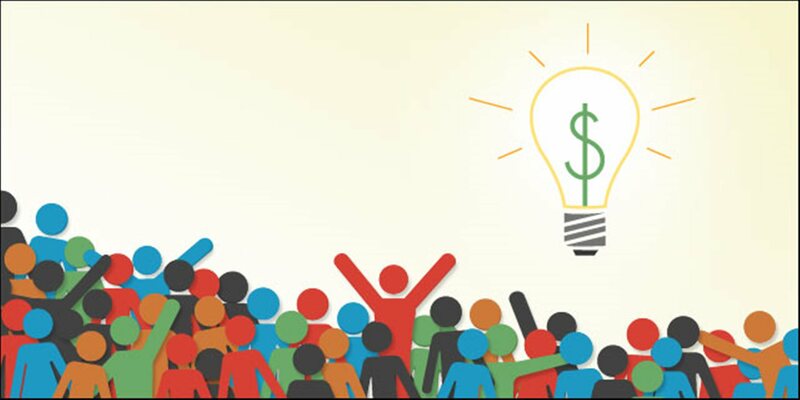 We have already written in our previous articles about the history of crowdfunding and how it changed the world. Funds are more easily attainable by common people, anyone can apply for them. The downside, of course, is that there are no guarantees to which problem will become successful and which one will fail. We talked about doing the necessary research for each and every project that interests investors. But how did blockchain tech revolutionize crowdfunding and what benefits are there for you? Blockchain revolutionized a much-needed aspect of today’s payment systems – privacy. With blockchain, everyone stays anonymous if they so wish. There is no need for personal information in order to send and receive funds. All you need is a wallet address. If you are interested in sending or receiving funds through our platform you can check out our past posts on our blog. Blockchain also made transactions 100% transparent. Think about transactions before blockchain, you could never be sure where your funds would end up and if they would ever reach the intended project you wanted to support. But now, with blockchain tech at our disposal, we can monitor transactions in real-time using block-explorers. This enables us to guarantee that by investing through our platform, your funds will reach the project you want to support. Anyway, you don’t even have to believe us – you can see for yourselves. We believe that through transparency, we build a trusting relationship between our users and us. Trust is essential in this era because of many falsely advertised projects. For those of you who disclose your personal information on our platform, we guarantee maximum security of personal data and information. Blockchain enables us to maximally secure our platform, thereby reducing hacking attempts to zero. Before blockchain, transactions were agonizingly slow for today’s standards. Well, not anymore. We realize that every project is in need of funds and time is of the essence to them. Because of that, we utilize blockchain transactions to help those projects receive funds as fast as possible. By using our token INO to invest in other projects, you can be sure that the funds will be delivered in the blink of an eye. All that’s necessary after that is confirmations on the blockchain itself(which are also very fast) and the funds will be ready. Blockchain technology has cut transaction costs to the bare minimum. In turn, that has made it cheaper to both invest and receive funds. Investors now have to pay less to invest in innovative projects. On the other hand, young projects now receive a greater portion of the funds sent by the investors, because of the low transaction fees the Ethereum blockchain imposes. Precisely because of that we chose the Ethereum blockchain as the base for our platform. To sum up, we believe blockchain has revolutionized the way we do business today. The thing that makes blockchain such a great innovation is that it provides benefits to the ordinary people that just want to send and receive funds, to the investors and to the startup founders. We hope you have a clearer picture as to why InoCoin chose blockchain tech as the foundation for our platform and that you now understand that blockchain is the best way to conduct crowdfunding.